Online print: a lucrative business even for investors from outside the industry? There are some online print providers that are strong on technology and others less so. But what really is the appeal of print providers to investors? There have been a number of acquisitions and equity investments in the online print sector, especially in the last two years, that have been driven by investment companies. Why? It’s no secret and certainly not news to anybody that eBusiness is successfully gaining a foothold in the print industry as well. And given that there are several players in this industry that started digitalizing their businesses at an early stage, they represent interesting investment targets, even for investors that have not been involved in the print industry to date. The Asian print market is not necessarily a focus of interest for European print market players. But things are different when an online print provider, in which 6.7 million Euros just happen to have been invested, is involved. We’re talking about Singapore-based online print start-up Gogoprint, which was set up in 2015, and in which OPG (Online Printing Group) took a stake at the beginning of October. The focus here is on expanding into New Zealand, Australia and South Korea. Yet the investment company involved in this case was not formerly from outside the industry. 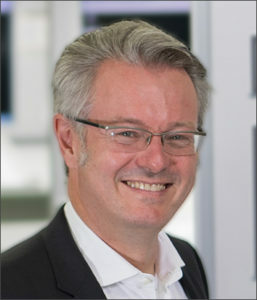 In fact, the man behind OPG is Director Kai Hagenbuch, former CEO of Heidelberg Brazil and father of Florian Hagenbuch, who co-founded Printi in 2012. And Printi has been 49%-owned by Cimpress since 2014, a stake for which Robert Keane forked out nearly 22 million Euros. So Gogoprint can definitely be regarded as a lucrative investment target in the fast-growing Asian online print market, which zipcon has forecast would represent 35 percent of the overall print market by 2022 (by comparison – the forecast for Western Europe is 40 percent). As you can see, anybody who themselves has been/is involved in the print industry realizes what potential online print has – otherwise Kai Hagenbuch would not have invested such a large sum of money in this start-up via OPG. But what’s the story with Europe’s allegedly saturated print markets? It is primarily companies that previously had little or nothing to do with print that have taken financial stakes in online print businesses during the last three years. I have prepared a brief overview as follows. Gelato, launched in 2012, is applying a very specific business model. CEO Henrik Müller-Hansen and his team have gained online print business experience since 2007 with the photo print brand, Optimalprint – and they have incorporated it into the highly profitable print cloud provider Gelato. All print service providers that are linked in to the Gelato network – which has included offset print providers since mid-2018 alongside digital printers – receive ready-to-print orders from Gelato. The software-driven print job broker therefore handles sales, file checking and all prepress work on behalf of the print providers. This is a lucrative system, especially since Gelato does not own any printing presses. All progress made is based on the efficiency of the software modules, which have netted Gelato a further 17.4 million Euros (20 million USD) following the last round of investment in 2015 by Dawn Capital to the tune of around 7.8 million Euros (9 million USD). However, this time round it’s not software and fintech specialist Dawn Capital that has injected capital into Gelato, but rather SEB Pension Fund from Estonia, which according to its own statements also invests in high-risk projects and companies, although Gelato can definitely not be described as such. And these investments are paying dividends. Since Gelato does not need to invest money in buying machinery, but focuses instead on expanding its software-based platform, the Norwegian company has managed to bring print partners in 12 more countries (from 13 to 25) on board within three years, although it now reaches out to customers in more than 70 countries. A further 60 partners joined the network just in 2017. And given that the print cloud provider has also gained a worldwide reputation for pursuing policies designed to ensure that print job handling is particularly environmentally compatible, this is unlikely to diminish the appeal of this keen-to-expand print job broker. Let’s stay in Scandinavia and continue with LaserTryk. At the end of 2017 the main shareholders in the Onlineprinters Group, Bregal Unternehmerkapital and Project A, also got involved in this lucrative print segment outside of the European mainland by taking a stake in the Scandinavian web-to-print market leader. Here too this was and is presumably a long-term investment on the part of Bregal and Project A. That’s because both investors “came on board” Onlineprinters in 2016 – and just six months later the decision was taken to acquire UK-based player Solopress, backed up by investment capital provided by both German investors. What motivated these investors to get involved in the online print industry? As with Gelato, all members of the Onlineprinters Group had already gained experience in the online print business prior to these acquisitions and investments. Coupled with the corresponding strengths of each online print provider and Onlineprinters’ expansions skills, this is generating massive further growth potential for the entire holding company. After all the Group posted sales totaling around 200 million Euros in 2017. Considering the synergy effects generated by the three profitable online print providers and the geographical coverage in terms of customer reach and logistics that they achieve, 2018 is likely to deliver another successful sales performance. The same applies to Helloprint, in which Bregal and Project A have also invested several times over. 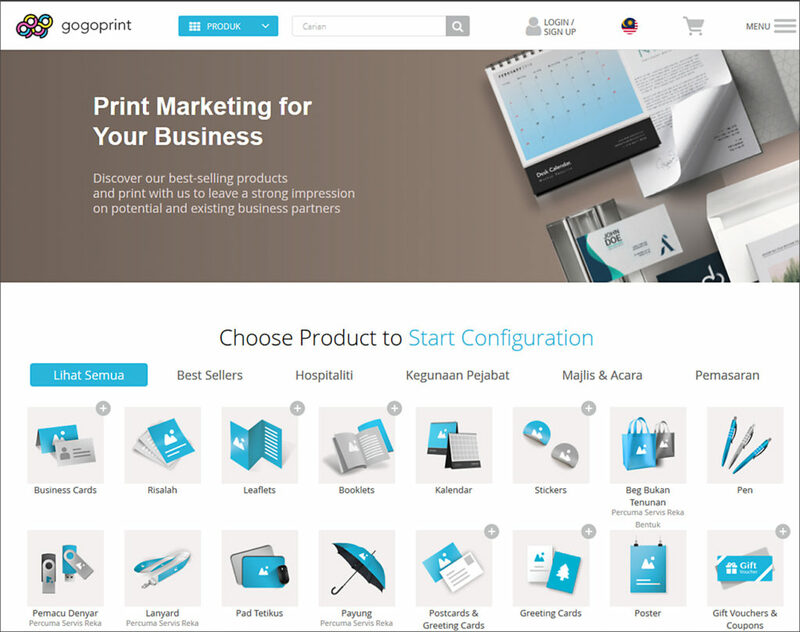 Although Helloprint is the newest (it was established in 2013) of the online print companies profiled here – it is at the same time the fastest-growing. The second multi-million Euro round of investment in February 2018 (the third overall), where Bregal was again the main financial backer as it was in 2017, gave this successful company, which is expanding massively in international markets, a further financial boost. 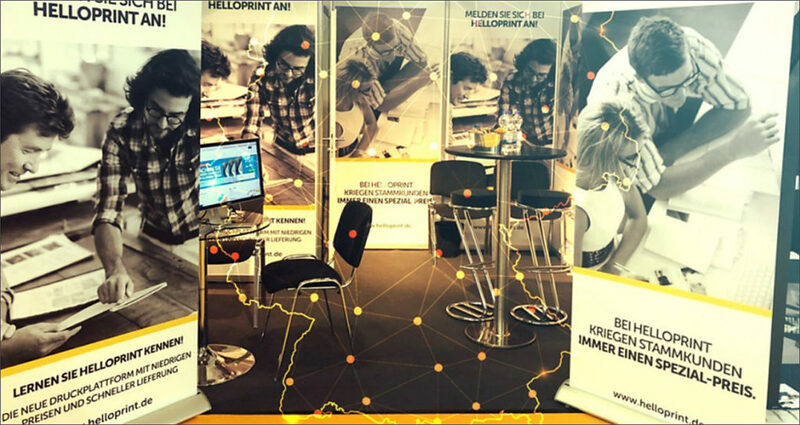 Helloprint has performed superbly in the five years since it was founded by Hans Scheffer (CEO) and is Europe’s fastest growing print platform. Helloprint’s core objective is to simplify print orders for customers to the maximum extent possible – to which end the Rotterdam-based platform provider “just” provides an eCommerce platform that brings print companies together with customers. But if you consider that Helloprint, in terms of both age and mentality, still enjoys start-up status, then many an old-established print company is certainly amazed by its sales growth. That because in 2016 Helloprint had already cracked the 30 million Euros mark – and 50 million Euros is the target for 2018. Even companies that don’t do their own printing can operate profitably in the online print sector and be lucrative for groups of investors at the same time. As previously mentioned, Bregal Unternehmerkapital and Project A have this year already injected the second round of capital into Helloprint following on from 2017. And since both German financiers also have a stake in the Onlineprinters Group, I asked Dr. Michael Fries (CEO of Onlineprinters) what his take on investments in the online print industry is. 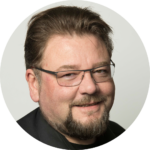 Bernd Zipper: Investments in profitable print businesses by companies that otherwise operate outside of the print industry – is that old hat or is it the future for the online print industry? Michael Fries: Of course, in the wider print industry there are interesting business models, which non-print investors also believe and invest in. Print is often just one facet of a successful model. At Onlineprinters we now focus on data skills, marketing automation, CRM, customer insight and a wide range of marketing and process optimization technologies. This appeals to our investors. Bernd Zipper: What’s your take on the pool of potential and actual investors, who have discovered online print as an investment offering good returns? Michael Fries: In the case of Onlineprinters I see that we have two investors – Bregal and Project A – that recognize our technology skills and are helping us to evolve even more in this field. Indeed, they also came on board at Helloprint with this idea in mind. To be honest, I can’t think of any other major investments in the online print sector in Europe right now. But that’s not to say it definitely won’t happen. Bernd Zipper: Is the appeal of online print companies to investors continuing to increase? The evolutionary potential that online print offers is a clear indication of that. What’s your opinion? Michael Fries: In my opinion Onlineprinters is a good example, from an investor’s perspective as well, of how a company can evolve very positively. Five years ago, Onlineprinters was a print company with an online store and very sound marketing. Nowadays we are a tech company with high-level skills in harnessing technology to generate traffic, gain and retain customers, cross- and upsell etc. We have also developed technologies to interlink our production facilities and enhance our fulfillment structures in terms of quality, adherence to delivery deadlines and efficiency. That is attractive, of course. But it’s for others to judge how many other businesses that applies to. My take: Investing in ambitious, highly efficient tech companies is nothing new. However, what many people don’t recognize is these lucrative investments include successful online print providers, no matter whether from Europe or from other continents, and not because they print various products but because they apply the strengths of eBusiness to fast-growing markets. 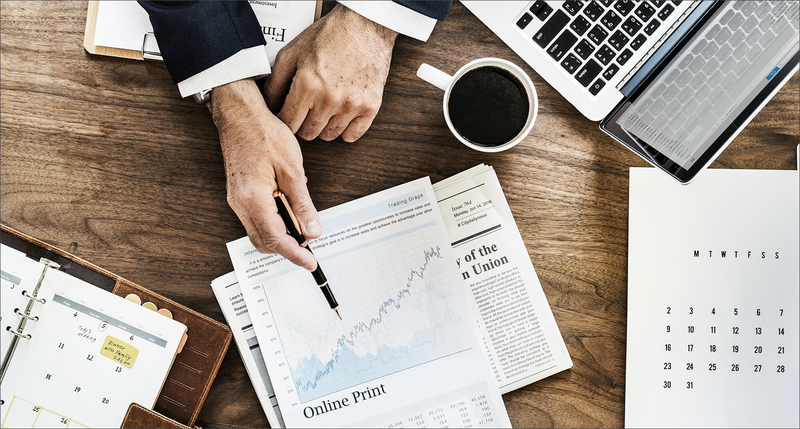 Therefore, it is not surprising to see financial backers that previously operated outside the industry investing in online print companies, as they value the strong IT skills as well as the production and logistics efficiency of the above-mentioned businesses in particular. That’s because it’s only on this basis that the further growth that justifies the prospects of returns can be generated. And one more thing – the investments profiled here are only the most well-known ones that have been made in the online print business during the last few years. In that respect there has been a great deal more movement in the industry and that will continue to be the case. That’s because some small German online print providers with growth rates of more than 12 percent are extremely lucrative, even for foreign investors! And as far as these ambitious players are concerned, I will of course be keeping my eye on the ball and you in the loop here at beyond-print.net. So stick around too, because it’s all still very exciting!